We asked, they answered… all the questions you’ve ever wanted to ask your manicurist. Check out what our manicurist had to say about caring for your nails. 1. What type of maintenance should we be doing for our nails? DON’T BITE YOUR NAILS and keep them clean. Moisturize your hands every night if your cuticles are dry (We wash our hands so much that it dries out our skin). Cut your nails when they get too long for your liking (typically every 2 weeks if you like them longer). *Your fingernails grow faster than your toenails. 2. What are your favorite long lasting nail polish brands? We usually use Essie for more light/natural colors, and OPI for a wider range of colors, which also tend to be more bold. 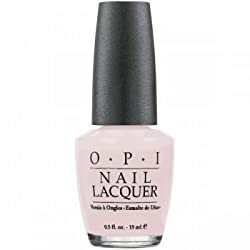 OPI’s new formula mixes the base, color, and top coat into one, so it lasts up to 10 days. 3. Is a base coat and top coat necessary? The base coat helps prevent the nail polish color from staining your nails yellow. Top coats make your polish dry shiny and seals it. Premixed nail polishes are hit or miss; it really comes down to your own personal experience. 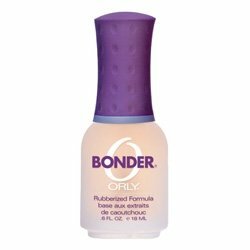 Our manicurist normally uses an Orly base coat, but if you have weaker nails they will use a Nailtiques strengthening base. 4. If a manicure chips, what’s a quick at-home fix? If you want to do it at home, cover the spot with the same color polish and use a top coat over the whole nail. You can always come back into the nail salon and get it fixed, if you have time (like the lovely lady pictured right). 5. Should we be doing something to prep our nails before going to a salon for a manicure? Don’t cut your nails because people tend to cut crooked. You can take off your current nail polish (if you have any on) if you want. There isn’t really anything that you need to do beforehand, that’s what we’re for. 6. How often should you get manicures? You should get manicures one time a week because you do a lot with your hands. Have your polish changed every two weeks to give your nails a break. Gel manicures can last up to two weeks — so this is a better option if you don’t have time to go to a nail salon as frequently (also great for when you go on vacations!). If your nails grow fast, get a neutral color so that it isn’t as noticeable (*because gel manicures can’t be filled, they must be removed and redone). The only side effect is that some peoples’ nails get weak from the gel. Get pedicures every 2 weeks. 7. Does the length of the nail affect how long a manicure will last? Length doesn’t really make a difference — just be careful and don’t bang your nails. *Always wear gloves when doing dishes or working with cleaners; soap and cleaners are harsh on hands. 8. How do you keep from getting ticklish when your feet are getting scrubbed during a pedicure? Talk to distract yourself from feeling it. 9. 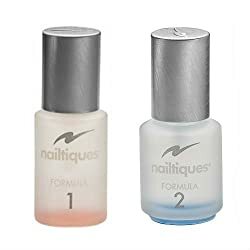 When painting your nails at home, what is the right way to do it? Always work in this order: 1 base coat, 2 color coats (depending on the color and thickness), and 1 top coat. A nourishing base coat is only needed if you paint your nails a lot. Make sure to wait for each coat to dry before doing the next one. *Get my color (pictured below)! 10. What is a typical tip amount? Most people tip $5, but it depends on the person. 11. What is popular in the manicure world? The square/round shape is always popular, as well as red nail polish. 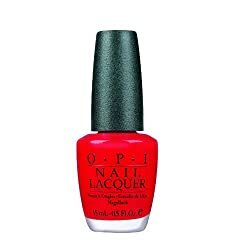 Our most popular colors in the salon are OPI Big Apple Red and OPI Sweetheart. Some new colors that have been starting to gain popularity are Essie’s lollipop red and roarrrrange.